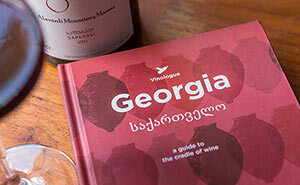 Our latest book for Georgian wines and wineries has been out since June now and you can read a selection of some of the great feedback that people have been giving below. “Anyone interested in wine, from expert to novice, will find this book a good read. The photographs are beautiful and that alone might make you want to dust off your passport.” D. says Russell Smith on Amazon. We also invite you to have a read of co-author Miquel Hudin’s account of working on the guide. Then you can also read about co-author Daria Kholodilina’s take on publishing her first book. And lastly, read about the journey to clay and wine during the release in Georgia. A very fun and memorable journey in a wonderful and delicious country!